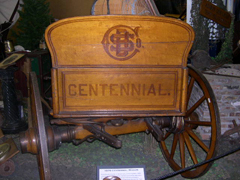 Celebrating America’s 100th birthday, this Studebaker wagon was built for the May 1876 Centennial Exposition in Philadelphia, Pennsylvania. 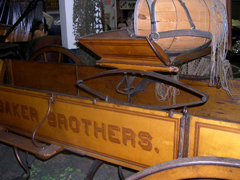 This was yet another award-winning wagon and display for Studebaker. Not quite 25 years old, the company had become a powerhouse of competition and worked hard to continually lead the industry in sales, promotion, and national as well as international distribution. There were other reasons that history would record 1876 as a very memorable year. Beyond the Centennial celebrations and new wagon exhibits, it was also in 1876 that Crazy Horse led the Lakota and Cheyenne to defeat Custer and the 7th Cavalry at the Battle of the Little Big Horn. 1876 was further marked by the death of Wild Bill Hickock in Deadwood, South Dakota. 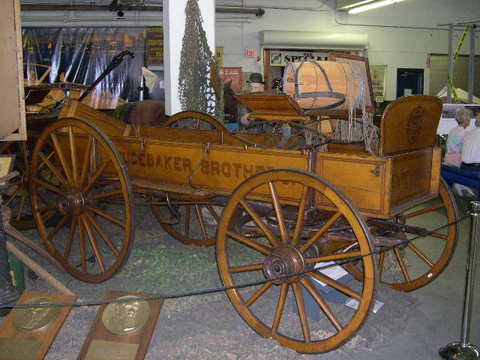 From gold rushes and the Civil War to cattle drives and land rushes, the West was full of challenges and Studebaker vehicles were there to witness a significant portion of that history.